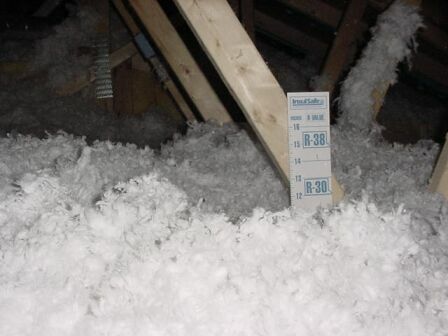 Lower energy bills - Insulation keeps your home warmer in the winter, which lowers your heating costs. 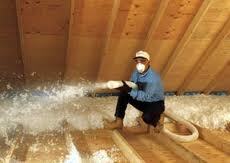 In the summer, insulation keeps your home cooler, which eases the load on your air conditioner. 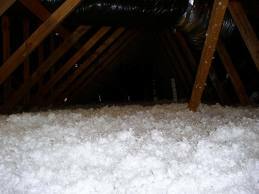 Quieter, more comfortable living- Insulation can actually absorb sound, reducing the unwanted noise from appliances, audio equipment, conversation and other sources of sound that are transmitted through your walls and floors. Reducing Cooling/Heating System wear and Tear - Insulation also keeps your family more comfortable by making it easier for your furnace or air conditioner to maintain a constant temperature. 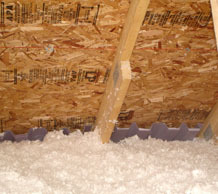 Blow-in insulation (also called loose fill or blowing wool insulation) can be used in several different applications, but it is especially useful in unfinished attics or attics with hard-to-reach areas. . Our blowing machines are designed to open up the insulation material, fluff it, and then blow it out through the hose at the rate set to achieve the specified coverage and R-value. The Premier Solution to Making your Home Energy Efficient!